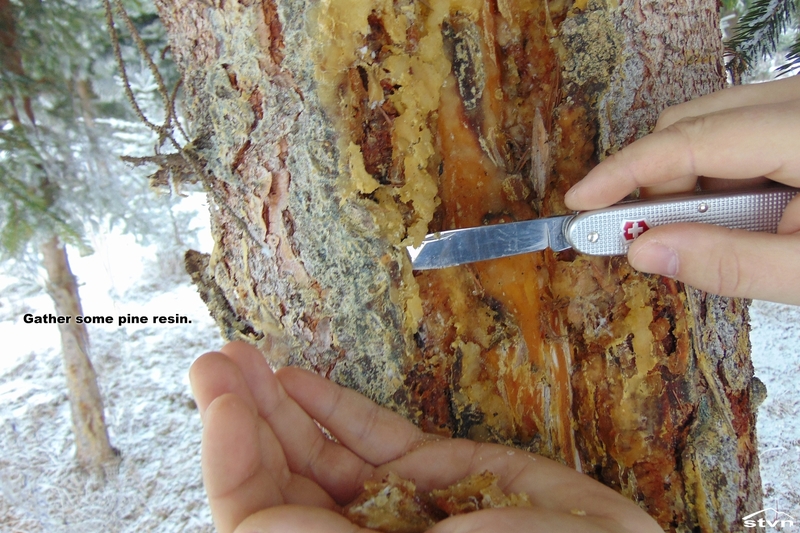 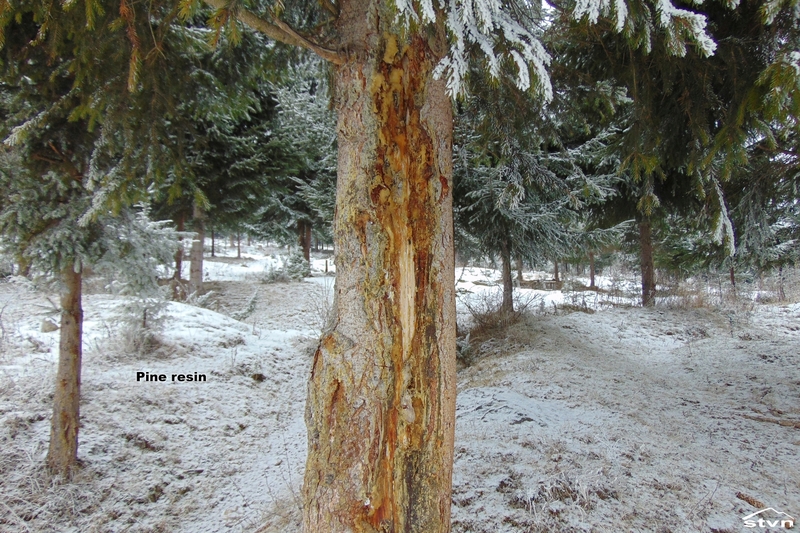 · Pine resin as fuel – resin circulates throughout the pine tree and serves to seal the wounds from pathogens when the tree is damaged (even superficially), that’s why you can find pine resin anywhere you can find pine trees and basically you can find pine trees anywhere you can find a forest, with more than 120 species within the Pinus genus they’re the most widespread trees on the northern hemisphere. 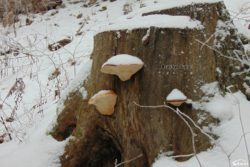 · Bracket fungus as container – again, they’re abundant, especially in old forests, and can be harvested all year round as they’re perennials. 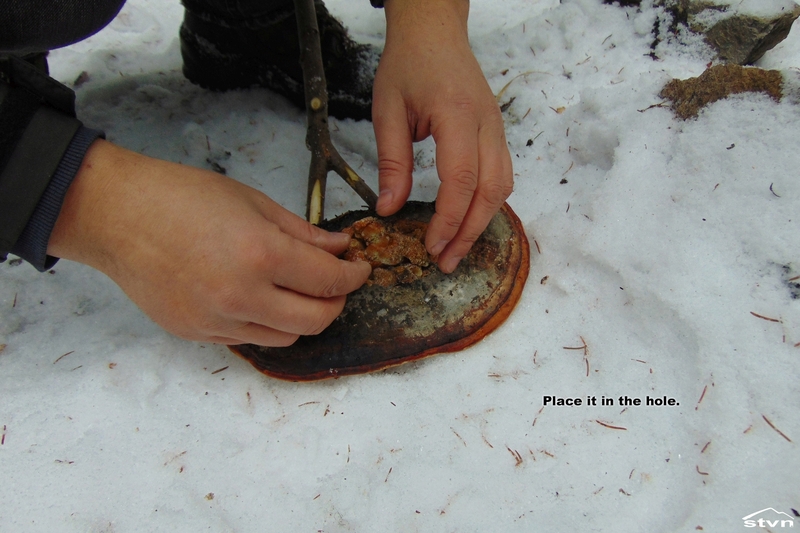 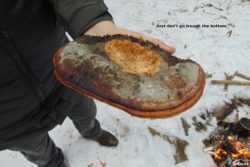 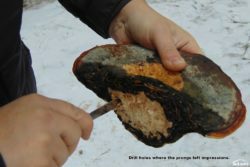 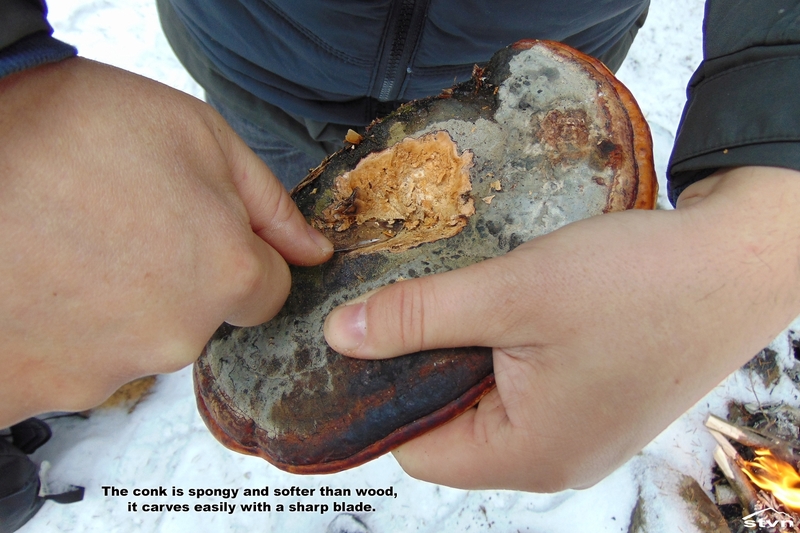 I used Red-Belt Conk (Fomitopsis pinicola), but any good sized conk would work, Horse Hoof Fungus (Fomes fomentarius) being the most widespread and known. 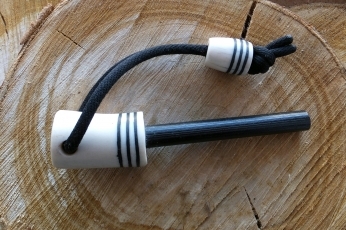 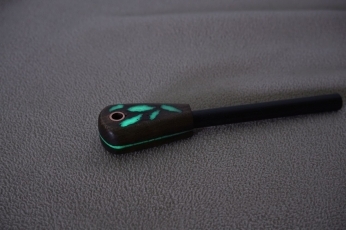 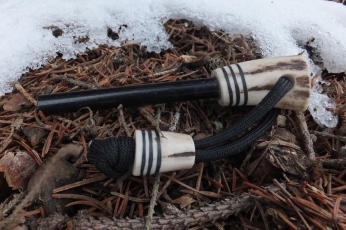 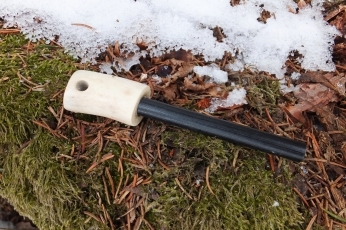 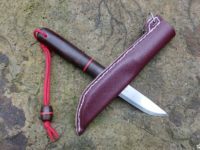 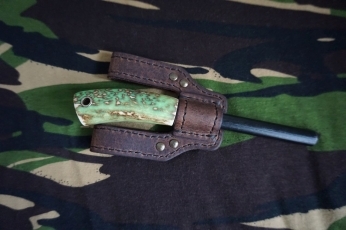 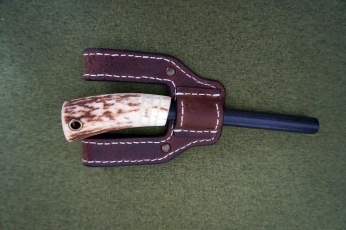 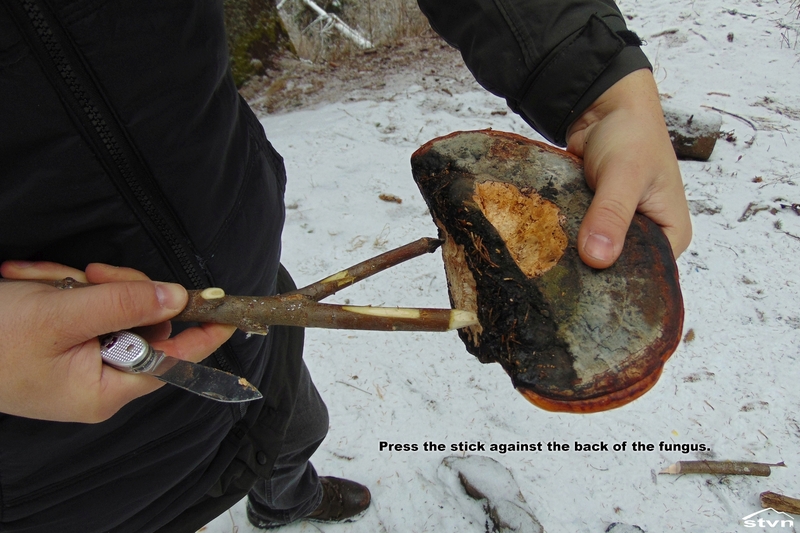 · A forked branch as handle – I’m confident that you’ll easily find this item in any forest. 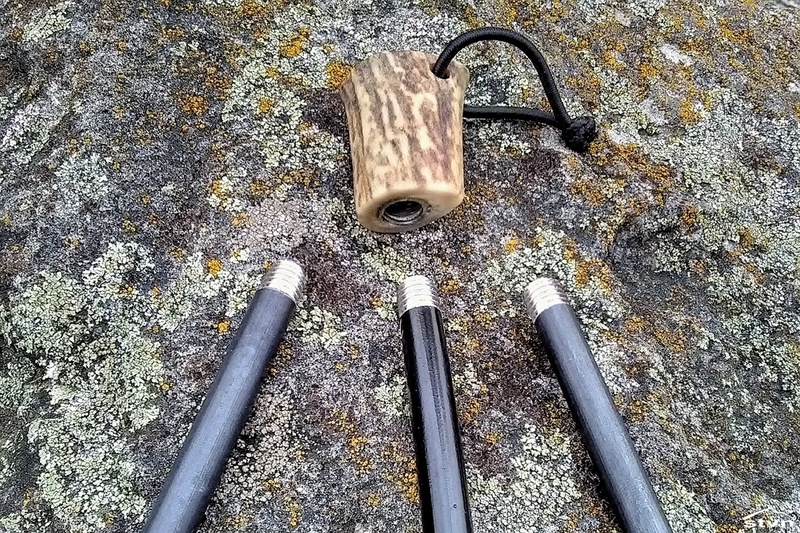 Both are pretty basic, when it comes to Everyday Carry. 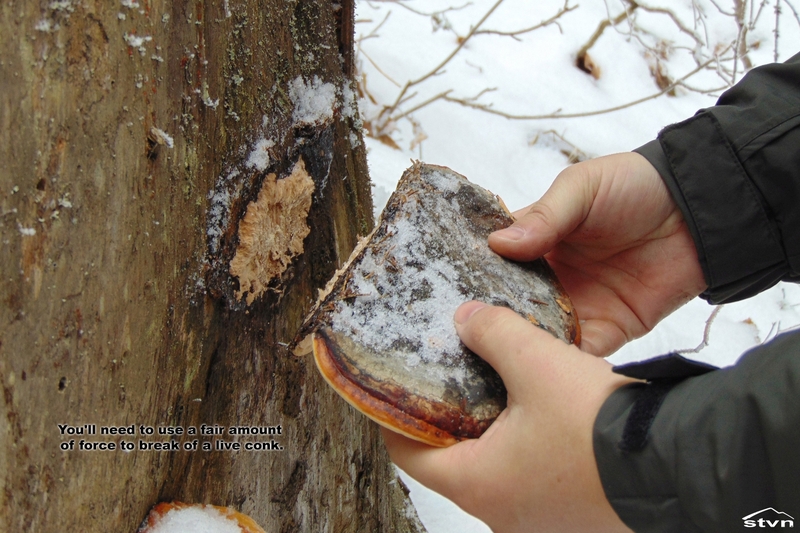 Once you got the ingredients, start by carving a hole in the top of the conk, this will hold the resin a.k.a. 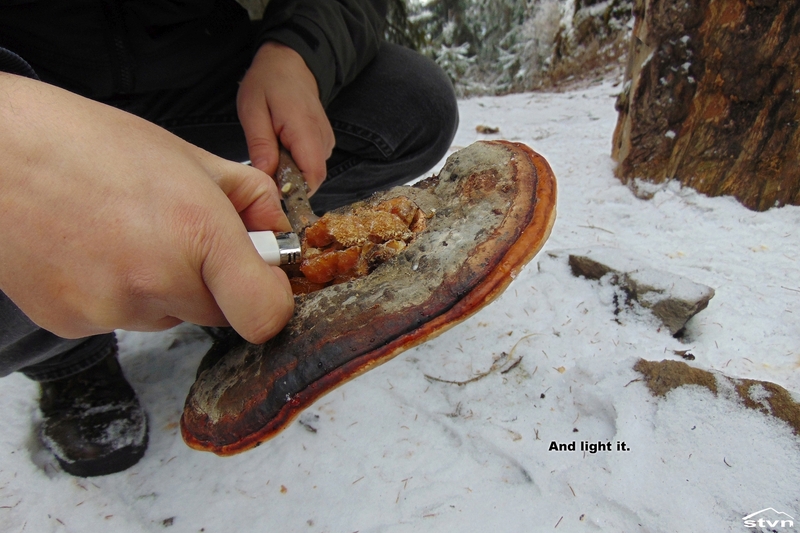 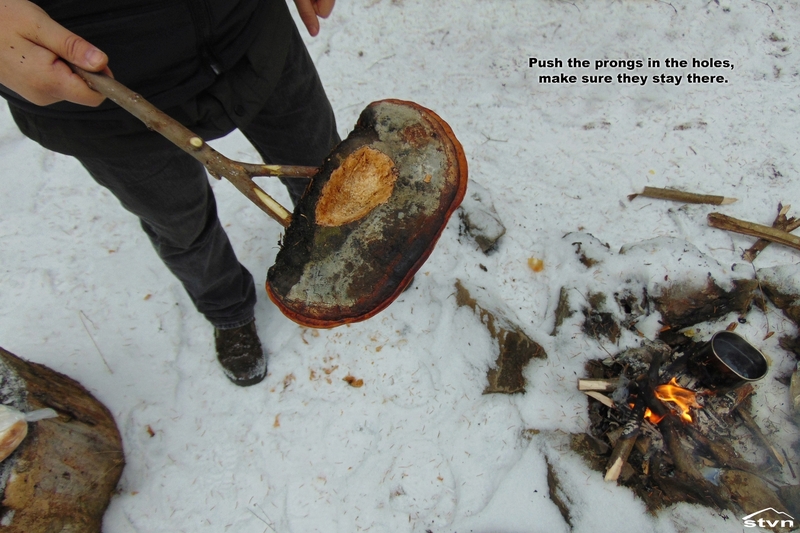 fuel, try making the hole as deep as you can without puncturing the bottom of the fungus, a deep hole fits more fuel and increases burn time; hole width also influences burn time: a wide hole decreases burn time because the fuel burns on a bigger surface, but gives more light. 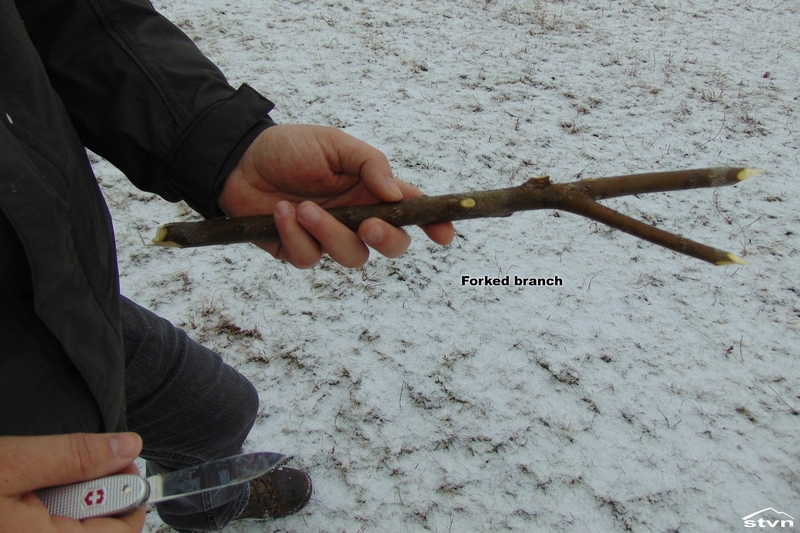 Next step is to add a handle: sharpen the tips of the forked branch and push them against the conk’s back (the back being the side that was attached to the stump), take your trusty knife and drill holes where they left impressions then insert the branch’s prongs in the holes you drilled, use some force to push them in, you don’t want it falling off, trust me. 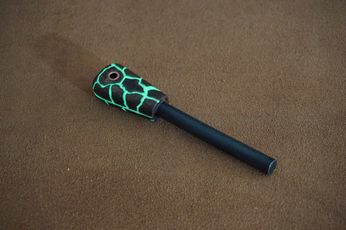 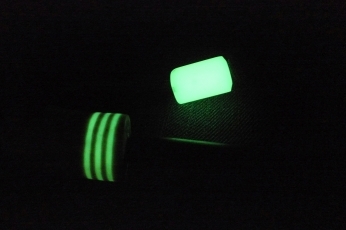 That’s it, the torch is complete, just add a handful of resin and light it up. 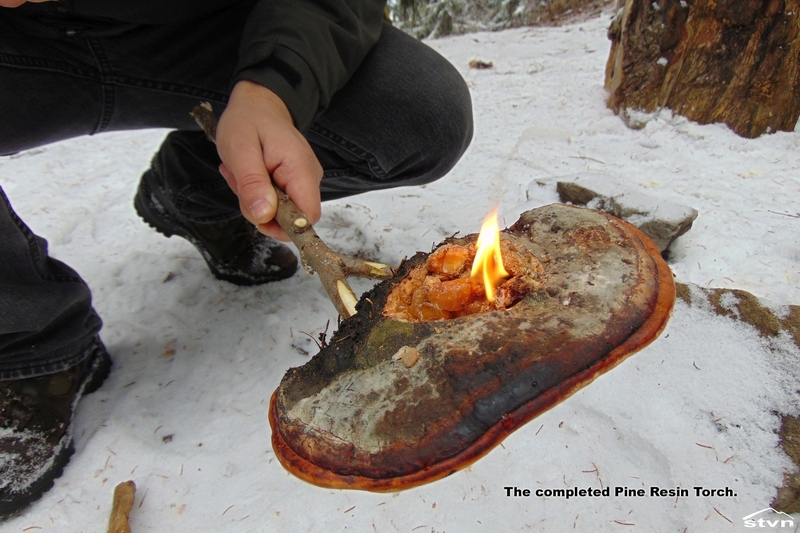 A handful of pine resin will burn for a good half an hour, but more clumps can be added along the way to keep the flame alive, one thing to look out for is that if you add too much it will overflow and start dripping fiery drops of liquefied resin that are relatively hard to put out, can severely burn your skin or clothes, or even start a forest fire, please be mindful of that. 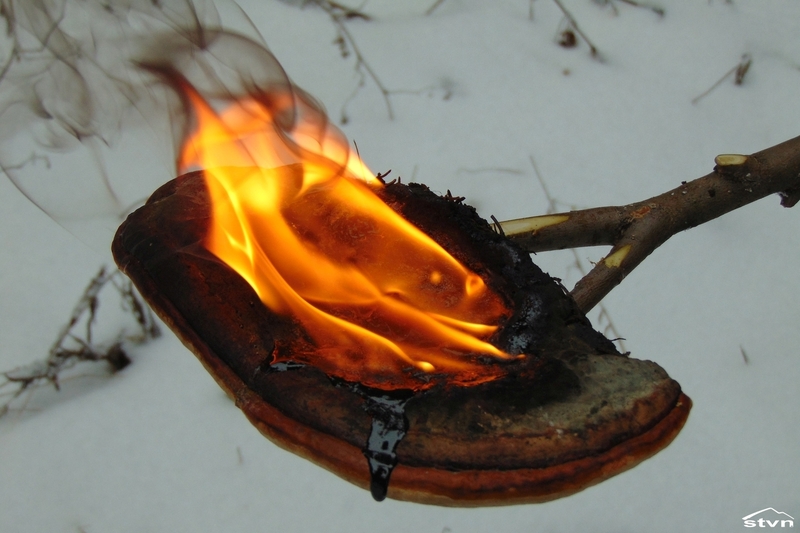 The conk I used was fresh and living so it had a good amount of moisture in it, I figure this was the reason that despite burning resin in it for several hours it’s only burnt superficially, I’m confident that it could be used for days or even weeks before it burns trough. 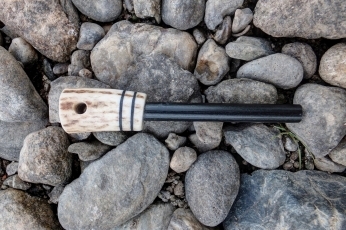 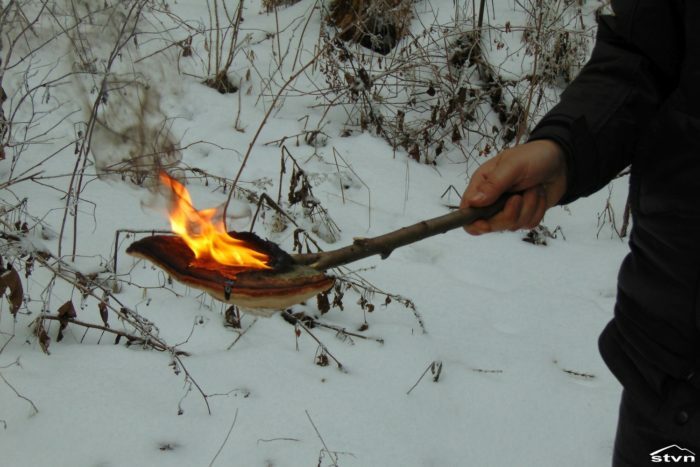 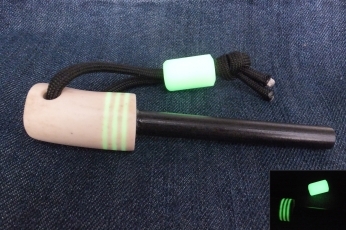 All in all it was an interesting challenge, and I’m really curious on your input, how would you make this pine resin torch simpler to build/use or with even less materials or tools. 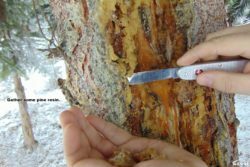 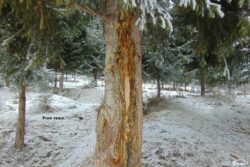 You may copy this article as long as you link back to this page (https://stvn.eu/pine-resin-torch/) or the frontpage (https://stvn.eu).